The owners wanted to renovate their bathroom to make it more functional for themselves and to improve the overall value of their home. The space was kept as is but the bath was replaced with a shower. 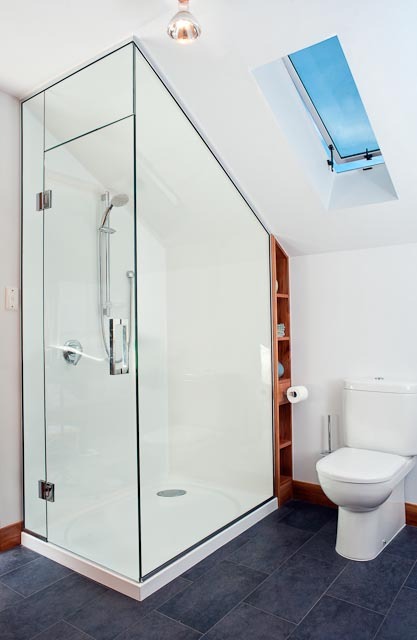 The shower is all enclosed to reduce steam build up in the rest of the bathroom. Details like the mosaic tiles and the narrow shelf behind the shower help add some delight to the now modernized space.